"I serve this excellent, very creamy, peanut buttery pie every Christmas and its gone in 5 minutes." In a large bowl, beat cream cheese and sugar until smooth. Beat in the peanut butter. Fold in 1 container of whipped topping. Spread filling in baked pie shell. Chill for 1 hour. Delicious and easy. I used a graham cracker crust and didn't use as much whipped topping as suggested, also chopped reese's peanut butter cups and put on the top. Great for peanut butter lovers! Try this pie with a graham cracker crust, it's just as good, and a little bit easier. 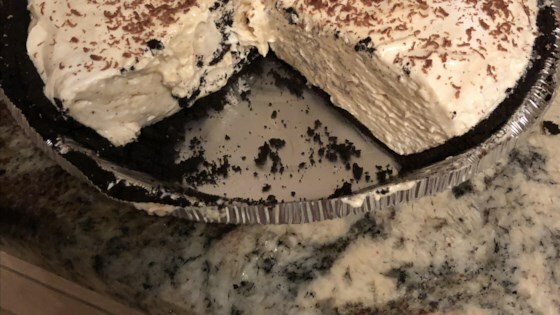 This pie was delicious. We served it on Christmas day and it was a huge hit with everyone! It is very peanut buttery and creamy! YUM!